I remember a few years ago when I first discovered Fawn Weaver’s excellent website– Happy Wives Club. It was simple and focused on one goal–to find one million happy wives worldwide. She was tired of hearing women tear down their husbands on TV and in the movies. Women were always cast as the “wise ones” in the relationship, with the husband being nothing more than a sidekick for a good laugh. I couldn’t agree with her more, and I have expressed similar disgust for the lack of respect given to men, in general and husbands, specifically. 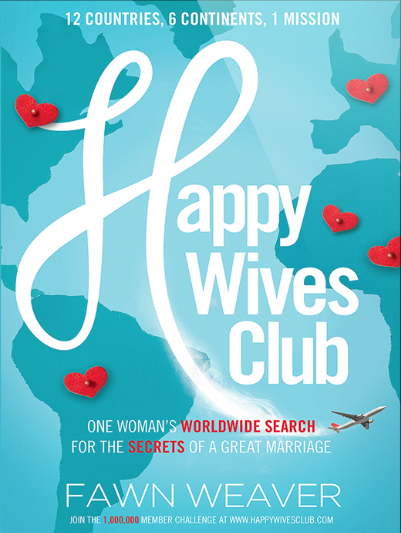 Well, today it is my delight to tell you about Fawn’s new book appropriately titled, Happy Wives Club. She traveled the world to interview happy wives and hear from them what has made them so. I just finished the book this morning, and it is excellent! Fawn traveled to 12 countries on 6 continents in the span of 6 months. You will feel as if you’ve traveled with her to Canada, Croatia, South Africa, Italy, England, Australia, New Zealand, Philippines and Argentina to name a few. Her descriptions of the locations are vivid allowing you to see, smell and experience the country through her eyes. I honestly didn’t want to trip to end, it was that good. But the best part was the common thread found in each marriage she interviewed. I’m not going to spoil it by telling what she discovered, but suffice it to say you must read this book! You will be inspired and challenged. You will laugh and cry. You will empathize with the struggles and separation Fawn experiences while traveling without her husband, Keith. You will appreciate the time you’ve been given with your own spouse, and not take it for granted. Happy Wives Club is like an energy drink for your marriage. Every sip will infuse fresh inspiration to work harder, love more deeply and to enjoy every minute you have together. Make this book the top of your reading list for 2014–your spouse will thank you. Bonus: We’re giving away a copy of Happy Wives Club. All you have to do to enter is share with us one word (or more if you must) that you believe is the secret to a lasting and happy marriage. We’ll draw a name randomly using random.org on Friday of this week. For two entries, share this post on your blog, Twitter or Facebook page as well, and tell us in your comment that you did so. Good luck! This entry was posted in Blog Love, Christian Marriage, Growing Strong Marriages, resources and tagged Book giveaway, Fawn Weaver, Happy Wives Club, Marriage Resources. Bookmark the permalink. love the video promo…love the positive ideas of encouraging women to invest in their marriages…one word: perseverance. Communication is the first key to a lasting, intimate relationship. One word for a happy and lasting marriage? God. This sounds awesome! I think grace is important to every marriage. Christ-centered, but that was a given, wasn’t it? One word, commitment; renewed daily, hourly, minute by minute if necessary! It is pretty easy being a happy wife when you marry your best friend who also happens to be the best person you’re ever met. No, that is not cheesy or schmaltzy. If you don’t deeply admire and respect the person he is while you two are dating, don’t even think of marrying him. It is not about the Hollywood version of passion, marriage is about daily (sometimes hourly) choosing to love someone. Sometimes that daily choice requires communication and the decision to change yourself and sacrifice your desires/wants. Keeping God in the center. Without Him I am nothing. I completely agree with Jenn! Our husbands need us to be patient and forgiving with them just as we want them to be with us, as wives we need to lift them up just as we want them to lift us up, communication in all aspects is a must (no little white lies), our husbands need to be at the top of our list of priorities not our BFF’s, our husbands want us to be interested in their hobbies just as much as we want them to be interested in the things we do, our husbands want us to spend time with them even if it’s watching a game, movies, sitting outside to drink a cup of coffee, etc., we cannot allow our family or friends come in between our marriages no matter what. We married our husbands for a reason, we need to show them that we are still in love with them and stand by them each and every single day. Well said. I’m so glad you gave such a thought-provoking comment. 🙂 Have a great day! Christ-centered. I shared on Facebook. Love & Respect. They go hand and hand as the beautiful foundation of a Biblical marriage. Ephesians 5:33. 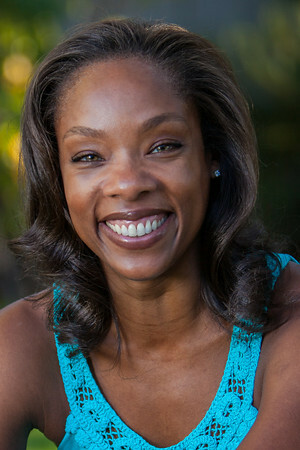 I re-blogged on my marriage blog: http://www.anewlywed.wordpress.com. Would love to see what this woman discovered! I’ve never heard of Fawn Weaver before, but after reading this and watching the promo video, I have to say I’m really interested in reading that book! I’d like to know what Fawn discovered around the world on her search for happy wives. I am most definitely a “happy wife” and would love to hear other women’s stories as well. The world believes that happiness in marriage is rare or nonexistent these days, but I know that that is not true. God is at work around the world, and His spirit is evident in countless marriages. I’m sure that’s exactly why Satan tries so hard to cover it up and portray only the nastiness! Comment on the Romantic Vineyard’s post and share it for a chance to win a copy of the book. I’m so glad to introduce you to Fawn Weaver. You’re going to enjoy getting to know her and her story. And I’m happy you reposted our contest for your readers to enter–thank you so much!